Our Sponsorship Program aims to support children from the poorest families who are at high risk of dropping out from school. 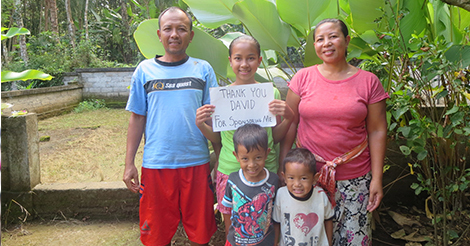 Our sponsorship program supports children through school in Bali. Sponsored children are from the poorest families, who are in most need. Without sponsorship for school, these children would drop out of school. They, and their families would continue in the cycle of poverty. Sponsorships enable them to change that. Sponsorships give these children a way to escape poverty through education. 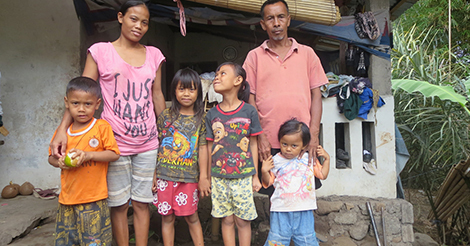 Costs are the biggest barrier to children completing basic education in Bali. Costs include school entry fees, building fees, teacher fees, extra class fees, materials, equipment, uniforms and shoes. In Bali, fees vary depending on area, lessons and school. We ask for $40 USD a month to support each child through school, administered and monitored through our staff. Escaping poverty through education is our motto and we mean it. We focus on providing education to children so they can grow up to break the cycle of poverty in their family. Just sponsoring one child and helping them complete school can be a change that impacts the same family for generations. The cycle of poverty offers only bleak future of dropping out of school, meaning children simply compete for jobs against graduates. Giving a child the opportunity to access education means their future is in their hands. They can compete with other high school graduates and carve out their own futures with something that is essential in finding work – a graduation certificate. Our Sponsorship Waiting List includes the most urgent children requiring sponsorships. The Sponsorship Waiting List is available on Facebook, and is updated in real time. We hear about children via our Local Area Co-ordinators, who work within local communities. Once our Area Co-ordinators have assessed the situation, children will be placed on our Sponsorship Waiting List. 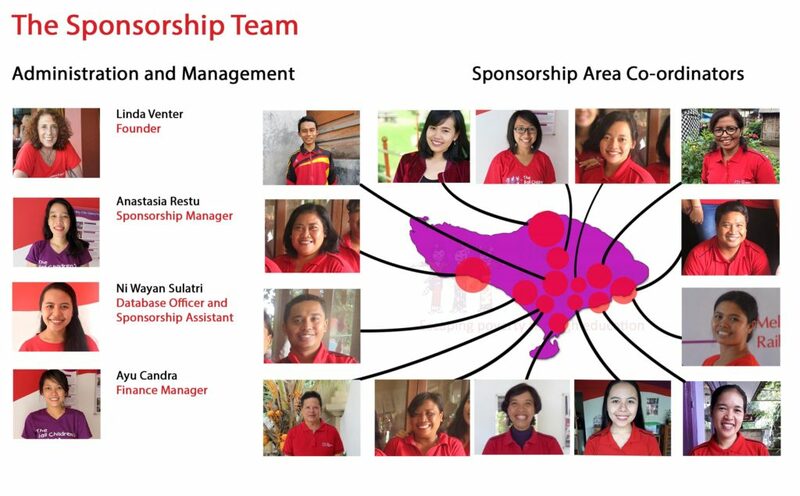 To run an effective sponsorship program, we employ Indonesian staff. The program is run by the Executive Director and is managed by our Sponsorship Manager. They manage multiple Area Co-ordinators, who provide day to day support and funds for children’s school costs. All expenditure is tracked through our financial management system, which includes providing receipts and transparent reporting. School costs for each child are monitored by our dedicated staff. 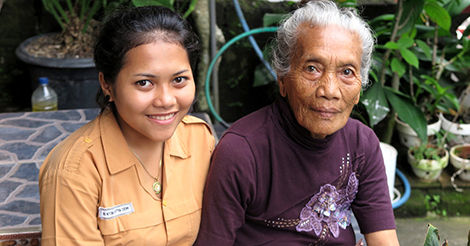 The program is overseen by Bali Children’s Project USA (a registered 501c3). 15% of sponsorship funds are used for organisation overhead. This ensures we can manage the program sustainably. To sponsor a child for School, please see our Sponsorship Waiting List, and set up a monthly donation of $40 USD per month. When you sponsor, you will receive a sponsorship welcome pack, complete with thank you photos and more information about how your sponsorship is helping.